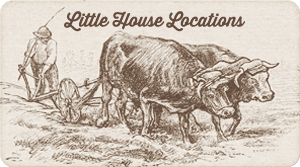 Along with the Little House on the Prairie books, Laura Ingalls Wilder also wrote about her future husband’s childhood growing up on a farm. Farmer Boy shares the adventures of Almanzo Wilder and his siblings as they help their family plant and harvest food all year. For the pioneering settlers back in the 1800s, produce grown in home gardens like that of the Ingalls and Wilder families was simply called “food.” No special description was necessary. But as time marched on, the way we grew our food plants changed. Hybrids were developed and became the norm; many of the old varieties were lost. However, some of the very best vegetable seeds continued to be grown and handed down generation after generation. Those seeds are now referred to as “heirloom” vegetables — and they are very special, indeed. If you’d like to have a garden filled with heritage vegetables, lettuce is a great one to start with. Lettuce is a fast grower, making it one of the most instantly gratifying crops. Heirlooms by definition are always open-pollinated varieties, which means that their seeds can be saved from year to year and the plants will “breed true.” Although heirlooms are always open-pollinated, open-pollinated plants aren’t always heirlooms. This title is reserved for seeds that have been handed down for at least fifty years (and usually 100 years or more). The local grocery store carries very few lettuce varieties compared to what is available to the home gardener. You’ll typically find iceberg, plus a few green leaf and romaine lettuces in the produce aisle. 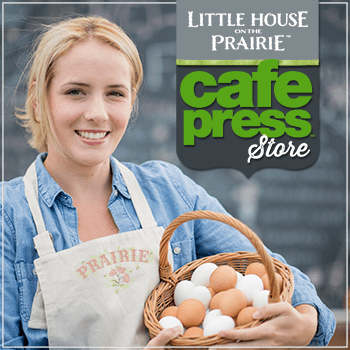 Yet there are hundreds more varieties to explore that vary in color, shape, size, and flavor. Romaine or Cos — These upright lettuces produce long, thick, and crinkly leaves. 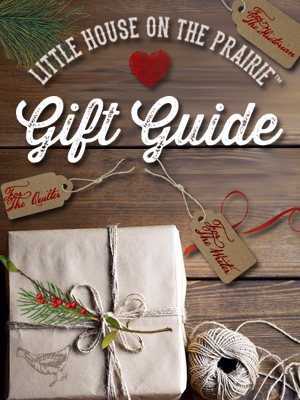 Butterhead or Bibb — This category holds the biggest heirloom selection. These varieties have short, rather loose-leaf heads with thin, soft leaves. Iceberg, Crisphead, and Batavian — These lettuces are the most popular varieties grown. They need very cool weather to form their tightly-layered heads. 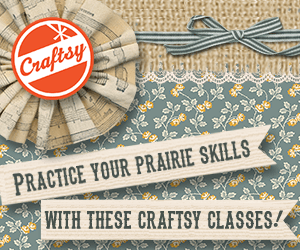 Loose-leaf — This type doesn’t form tight heads, but grows loose, frilly, and tender leaves. The first thing you need to know about lettuce is that it adores cool weather. This means that the best time to have it growing in your garden is in the early spring or fall. There are a few exceptions to the rule as some varieties will tolerate a little heat. But many more will bolt (go to seed) quickly once temperatures rise. The second thing to know about lettuce is that it’s incredibly easy to grow. It can’t wait to grow — in fact, many lettuce varieties will go from seed to pate in a mere five weeks. The best way to take advantage of this is to stagger the crop by planting at two-week intervals. This makes for a steady salad harvest — you could even do it in pots on your porch. Seeds can be started outdoors by sowing seeds directly into the garden bed. I typically do so at the very end of summer to get my fall garden going. They can also be started indoors between late winter and early spring (using a soil-less seed mix) about four weeks before the last frost date. May Queen Heirloom Lettuce – Photo Courtesy of Baker Creek Heirloom Seed Co.
Lettuce seeds are very tiny, so just barely cover them with a sprinkle of soil when you plant. Keep them evenly moist while they’re germinating. Once the seedlings reach 1″ tall, thin them out so that they are 6″to 8″ apart from each other. If you start your lettuce indoors, don’t plant them into their permanent garden bed until they’ve been slowly acclimated to the outdoors and the last frost date has passed. You can grow lettuce through the winter in many areas by taking advantage of cold frames and hoop houses to protect the leaves from frost. The lettuce bed should have some moisture to it at all times. I don’t fertilize my lettuces much while they’re growing. But when I do, I use organic foods such as manure tea, fish emulsion, or compost. 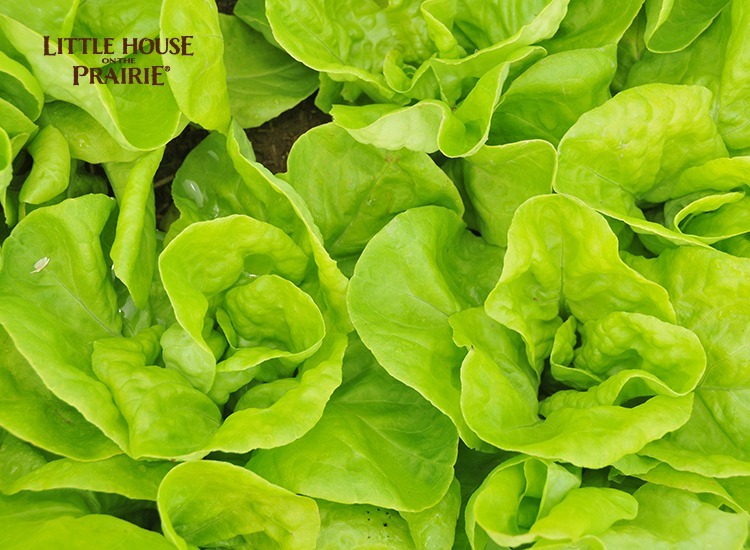 When lettuce reaches just 3″ to 4″ inches tall, you can begin to harvest them as tender, baby greens. In general, you’ll harvest them as mature plants. There are a few different ways to harvest lettuces. 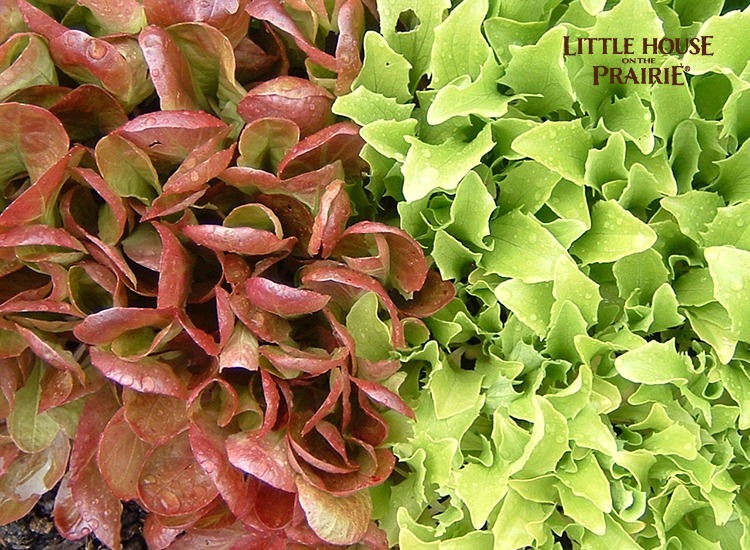 Rouge d’Hiver (Red Winter) Heirloom Lettuce – Photo Courtesy of Baker Creek Heirloom Seed Co. 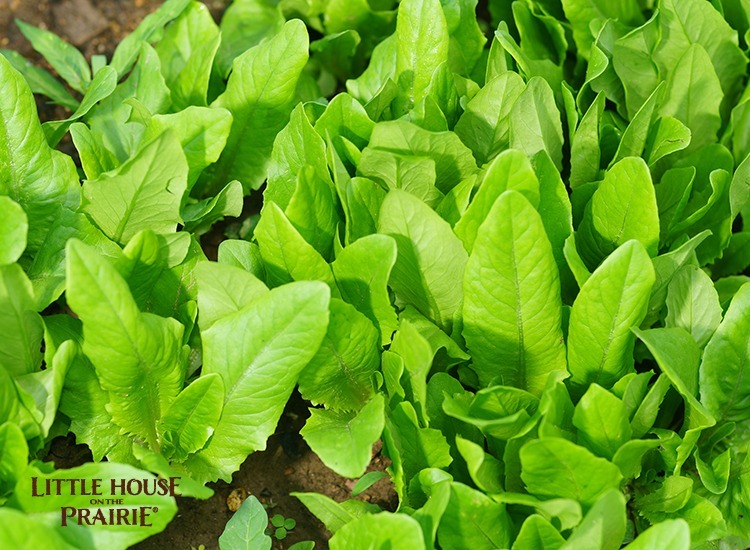 Harvest loose leaf and romaine varieties by removing only the outer leaves at one time. This way, the plant continues to grow more leaves for your dining pleasure. When you notice a “stem” forming in the center of the plant, this means it’s starting to bolt and the leaves harvested after this will be bitter. Another way to harvest leaf lettuces is the cut-and-come again method. Once the leaves have matured, cut all of them down to about one inch or a bit more above the soil line. You’ll be able to harvest them again once or twice as the new leaves grow back. Head lettuces should be harvested while they’re mature, but still young for the best flavor. They’re always harvested by lifting the entire head out of the soil. 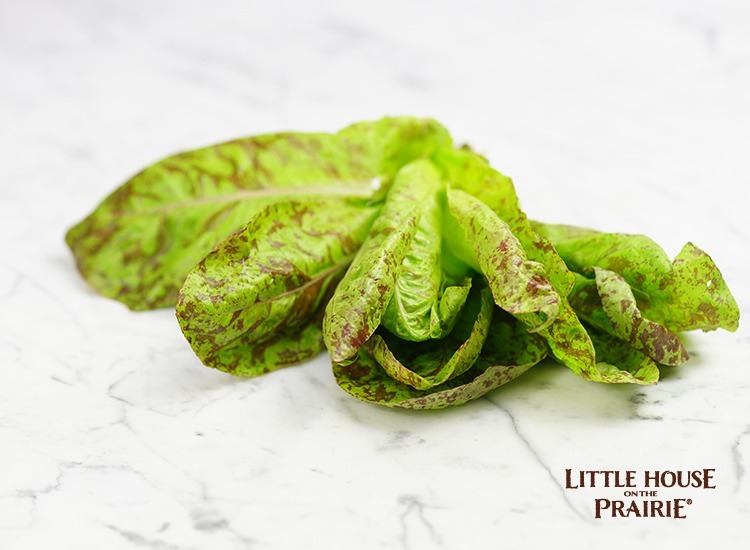 Forellenschluss (Speckled Trout) Heirloom Lettuce – Photo Courtesy of Baker Creek Heirloom Seed Co.
There’s no way to know the exact lettuce varieties the Ingalls family grew in their garden. 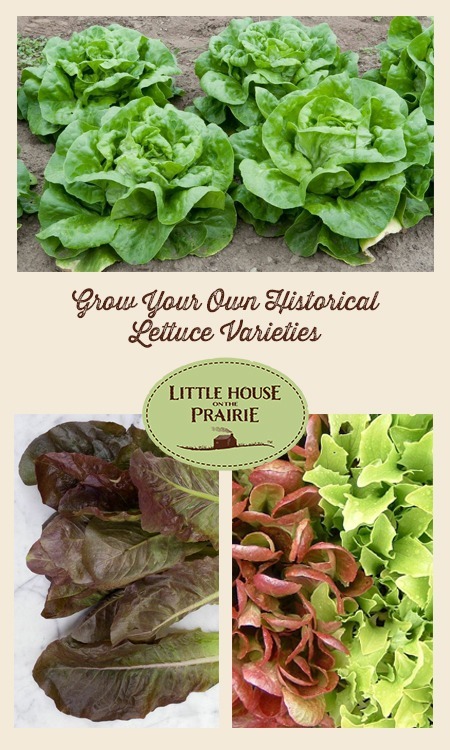 However, the following heirloom lettuce varieties were around during the same era and many pioneers were growing them. Gold Rush — This loose-leaf variety with frilled, crinkly, lime-green leaves are extremely frilled, crinkled, and curly. Mild flavor and slow to bolt variety. Harvest in 50-60 days. Forellenschluss — This Austrian romaine’s name translates to “speckled trout” and is often labeled as “Flashy Trout Back.” Beautiful crispy, green leaves and maroon speckling. Harvest in 58 days. Deer Tongue (Matchless) — This upright, loose-head lettuce has triangular, slightly savoyed (crinkled) leaves. Has sweet flavor and a crisp texture. Harvest in 54 days. Black-Seeded Simpson — Looseleaf lettuce with a light and delicate flavor. Harvest in 49 days. 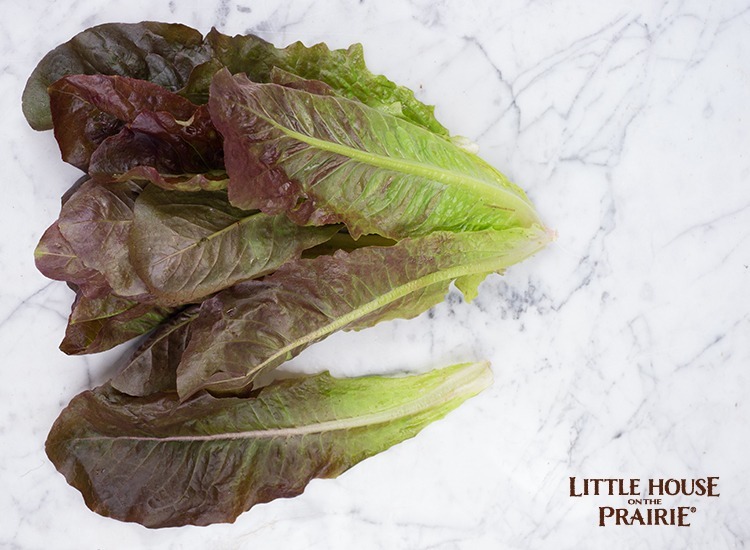 Rouge d’Hiver (Red Winter)– A red and green leafed romaine that has dark red tips and good flavor. Harvest in 62 days. 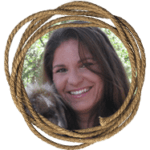 Mascara — Mascara produces has frilly, dark red, oakleaf-shaped leaves that form a curly rosette. Has mild flavor and is slow to bolt. Harvest in 60-65 days. May Queen (Regina di Maggio) — In the early 1800s, this medium-sized butterhead was famous. It has pale green leaves tinged with red and a creamy yellow heart with a blushed center. Gourmet chefs love it. Harvest in 45-60 days. Amish Deer Tongue Heirloom Lettuce – Photo Courtesy of Baker Creek Heirloom Seed Co.
Have you ever tried any lettuce beyond the more common iceberg? Are you planning a garden this year? 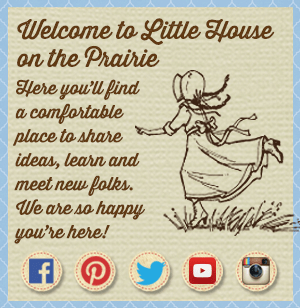 Subscribe to Little House on the Prairie newsletter for more gardening posts and growing plants the traditional way. is it possible to buy heirloom seeds if we live in Canada? yes you can. I bought Flashy Trout Back Lettuce from Vesseys this year. It grew beautifully. I live in Nova Scotia. 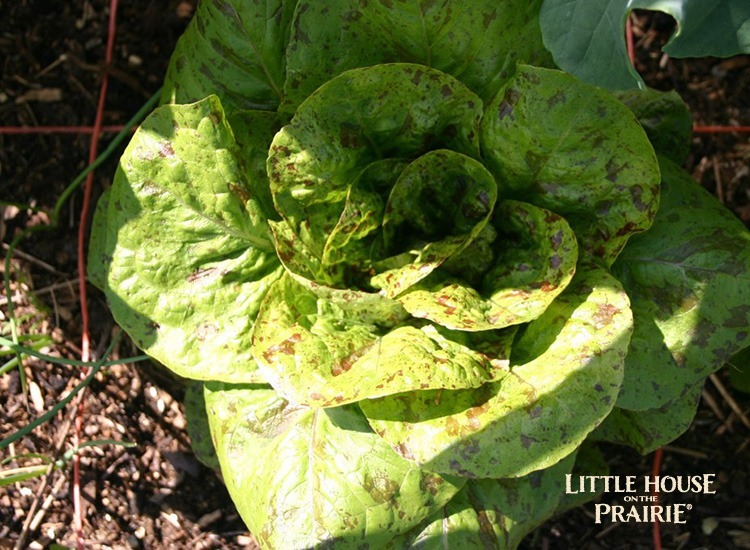 Our company, Sand Hill Preservation Center, carries a lot of these heirloom lettuces as well as many others. HI can I plant the seeds indoors and grow them indoors? I am looking to produce an old iceberg variety called Tiber. Do you know where I can get some raw seed. It is a variety that was grown down in the Santa Maria, Oxnard, California area.